A freelancer of mine is using abusive language on me. Thank you for reporting this here in the Forum. You have provided a service to the platform. We need to work hard to remove this freelancer from the platform entirely. A Forum Moderator may ask you for more information. In the mean time, if you're willing to take the time to do so, you may start a Support ticket to report this, or simply click on the "Flag as Inappropriate" link on this freelancer's profile page and submit a report. You could check the "Something else" button and briefly report what happened. You could just copy and paste the text of your post if you want to. I`m sorry to hear about the bad experience you had with your freelancer. I checked your account and I can see that you have tickets for this. I`ve already taken additional actions and escalated one of them further, if you have any additional evidence you would like to share feel free to update your ticket with number 24160734. If you have any additional questions let me know, thank you. @Goran V, would you kindly add to the tickets that the client was sending me death threats on skype and harassing my twitter followers. Now she raised a bunch of tickets behind my back, so I am a bit upset that you only getting one side of the story. Thank you for following up with us. I checked and you already provided this information on your support ticket. I'll also follow up with our team about your update here and our agent will update you directly on your ticket once they review all the provided information. Thank you for your patience. I have closed the ticket but sent this topic to the freelancer to remind him of his language using. However the freelancer responded with different opinions pulling back history from way back, so I should clear it in here too. I've attached all the related messages and evidence in the ticket already, it is under Upwork team's judgement if you want to investigate it later. 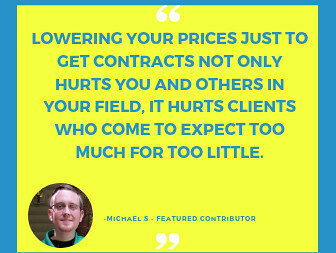 I'm sorry to hear if both a client and a freelancer had a disappointing experience on Upwork. I am NOT GOING TO COMMENT on a specific situation, or any specific Upwork users. Upwork is a professional workplace. 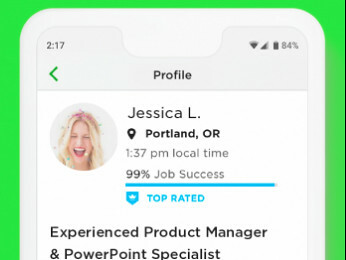 The freelancers who work via Upwork REPRESENT the company. They are expected to maintain a high standard of professional behavior. There IS NO JUSTIFICATION for crude, vulgar, abusive language or behavior from freelancers. Such language or behavior is grounds for dismissal from the platform. IT DOES NOT MATTER what a client did. This has nothing to do with clients. This has nothing to do with how clients should behave. Moreover: bad behavior on the part of a freelancer does not justify bad behavior on the part of a client. Just as bad behavior on the part of a client does not justify bad behavior on the part of a freelancer. No freelancer is perfect. 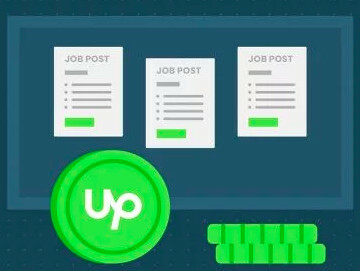 If a freelancer has made mistakes in their past, outside of the Upwork platform, they may indeed be a person who could become an Upwork freelancer. But when the freelancer is working from this platform, representing this platform, they may NOT do whatever they feel like or say whatever they feel like saying. They need to exhibit clean, work-place appropriate language and behavior. At all times while working on the platform. At all times while interacting with clients they meet here. And at all times while interacting with other freelancers, with Upwork customer service representatives or other Upwork employees, and at all times while using the Community Forum. We'll be closing this thread from further replies as identifying users in an accusation of misconduct is against the Community Guidelines and we can't discuss details about reported accounts here.